These Technical High School Postcards belong to Bennie Burt, a 1958 Tech Graduate. 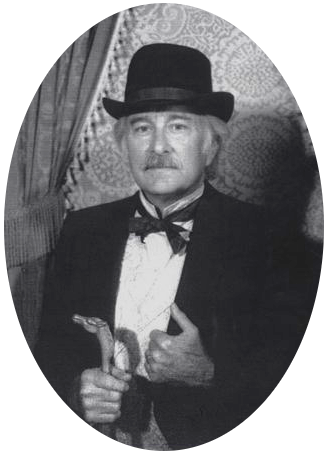 His brother Bill Burt showed them to me recently and I asked permission to publish them on my web site. Thanks Bennie and Bill. 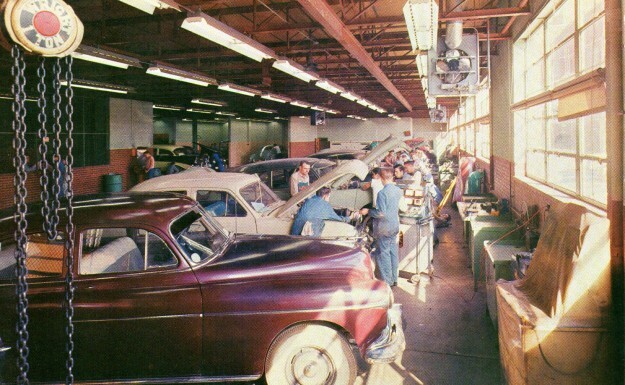 The Automotive Shop has 16,000 square feet and two divisions: Auto Mechanics and Body Repairing. Students in the Body Division receive training in welding, body and fender repairing, painting and upholstering. Student Mechanics have use of the latest equipment in learning to repair motors, transmissions, differentials, clutches, etc. They also learn to do electrical tune-ups, steering alignment, lubrication and many other things necessary to the proper maintenance of automobiles. Trade preparation and engineering fundamentals are joint objectives in the Electrical Shop. Theory and practice in a ratio of approximately 1 to 2 are the usual daily routine. Students receive basic training in wiring, maintenance and repair of many types of electrical equipment, motor re-winding analysis and design. Training covers three hours of each school day for three years. The Diesel Shop equipment includes a dynamometer, valve reseating and re-facer motor analyzer, distributor tester, fuel pump test stand, steam cleaner, etc. The shop has fourteen Diesel engines. The course also covers the gas engine which broadens employment opportunities. Graduates enter into fields of transportation, petroleum, stationary engines, shipping and marine services, field service engineering and other related fields. The Welding Shop offers both Arc and Acetylene welding. 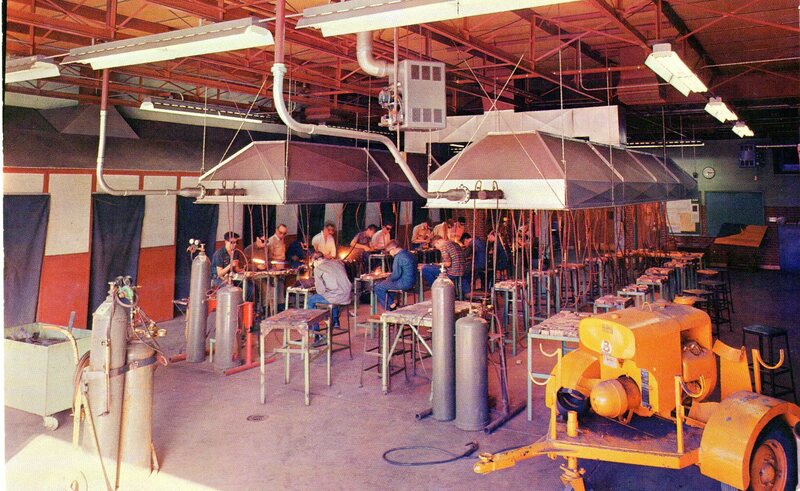 It includes 40 work stations for oxy-acetylene and 20 booths for electric welding. Welding is offered as a three year course which qualifies a student for employment as an all-round welder on all metals that can be welded. Students from other shops where welding is done are permitted and encouraged to take one or two semesters of welding. 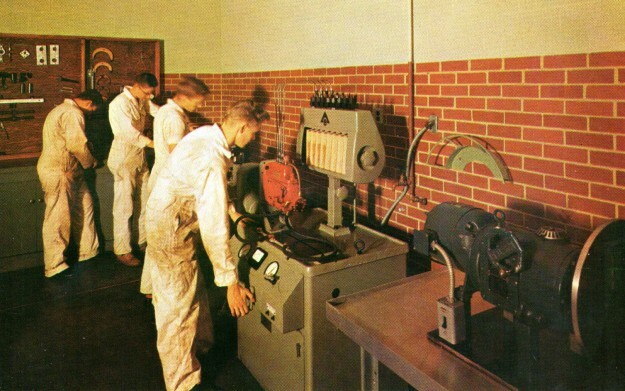 The Diesel Laboratory is a part of the Diesel Shop. The test equipment includes a fuel pump stand, nozzle tester, lapping block, pressure gauge tester, other special equipment and tools. 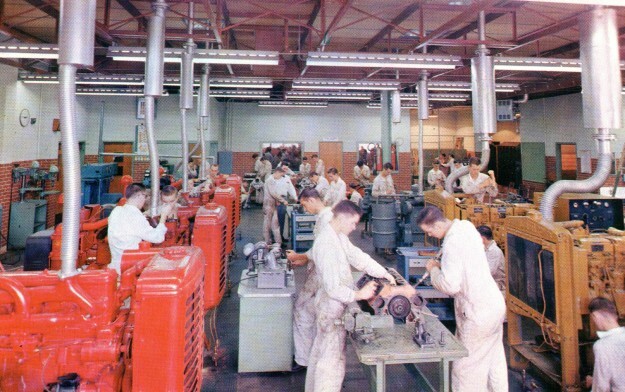 Improved methods and techniques are taught in calibration and operation of fuel pumps and nozzles of the modern diesel engines. If you have artistic talent and love to draw, three hours a day in the Commercial Art Laboratory, under a competent instructor, will develop your art ability into a saleable skill. Students are given training and practical problems in fashion drawing, lettering, cartoon, design, air brush, advertising layout, water color, production illustration and composition. 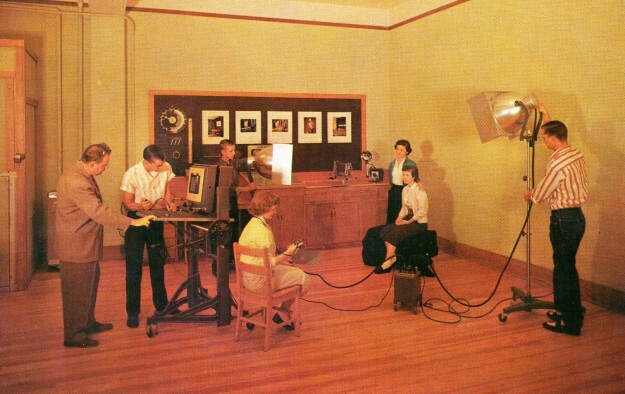 Many of the commercial artists employed in Fort Worth Studios receive their training here. Equipment in the Refrigeration Department includes nearly all the popular brands of household refrigerators as well as commercial refrigeration equipment with different types of compressors. 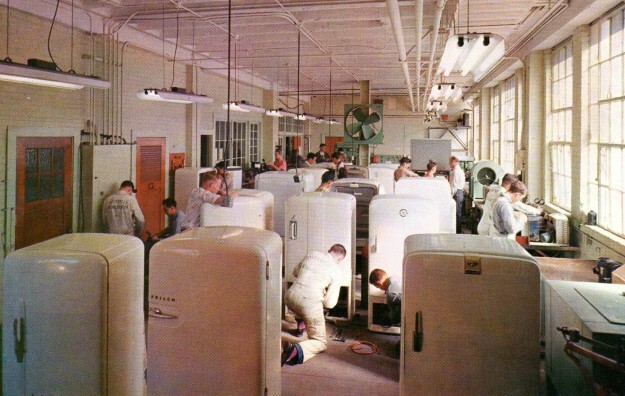 Household and Commercial Air Conditioning is part of the instruction. An air conditioned class room adjoins the shop where related theory is taught. Graduation in Refrigeration offers many opportunities at good pay in a fast growing industry. 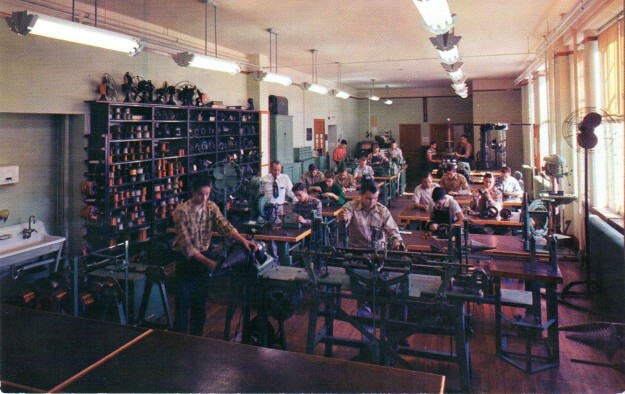 The Radio and Television Shop is designed primarily for servicing classes. 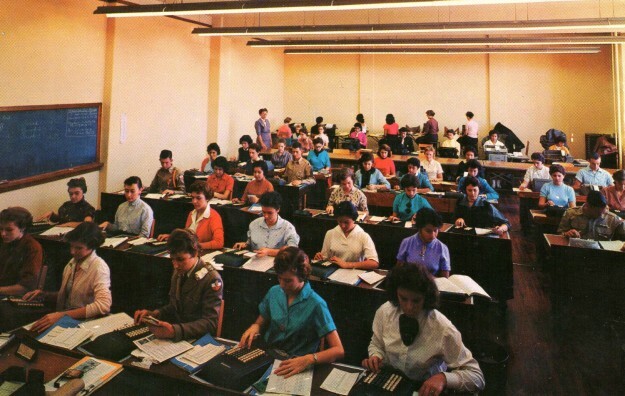 It provides training in basic electronics. 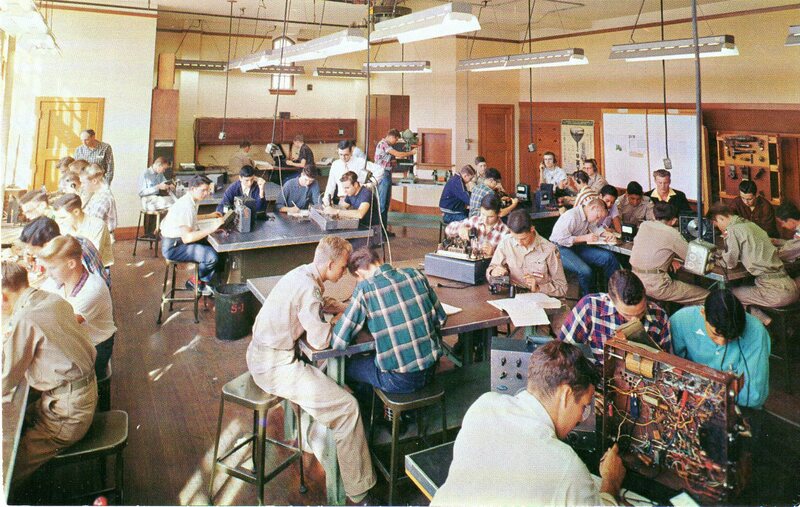 Using the most modern test equipment, each student learns by building, operating and testing radio and television components. Theory classes are included in the course, using training aids extensively to demonstrate difficult ideas. Constant revision keeps abreast of industrial changes. Students in the Photography Department are at work in the new studio area, one of the sixteen rooms in the department, all having temperature control for both air and solutions. The best of photo equipment is offered the student throughout a three year course of study, covering the field from small cameras to motion pictures and sound recording. 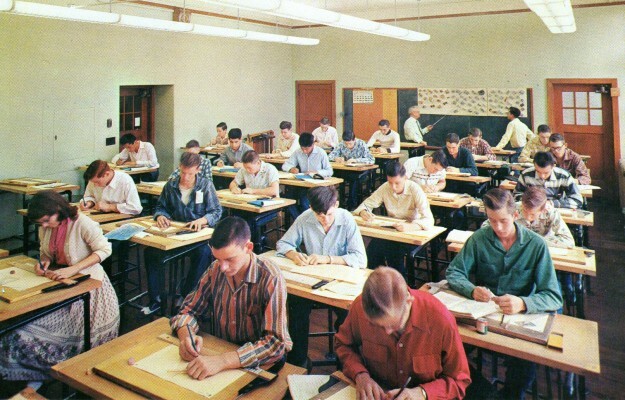 Engineering Drafting teaches fundamental principles, techniques, etc., prerequisite to successful entry into numerous phases of machines and mechanical trades; civil, mechanical, structural, architectural and other engineering professions as capable draftsmen. Blueprinting, machine and mechanical detailing, surface development, sheet and metal layout, structural and architectural drawing, map making and surveying are taught. The Office Machines room is one of the most completely equipped rooms of its kind in the Southwest, including such equipment as comptometers, calculators, bookkeeping, billing, adding, duplicating, addressograph and graphotype machines. This course is offered to Business Education seniors two periods each day for one year. 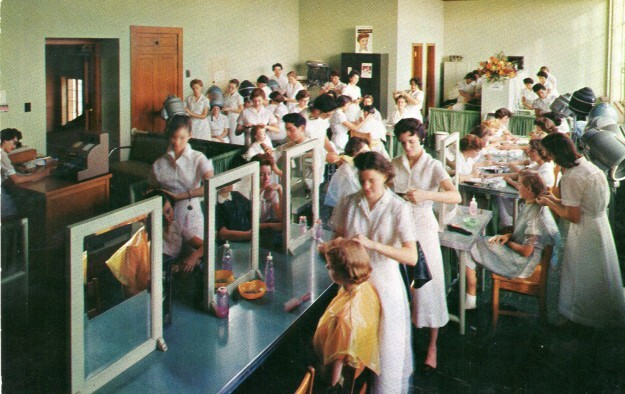 The Cosmetology Department has the latest equipment with which to train students in practical work, such as hair styling, application of make-up, permanent waving, manicuring, hair-tinting and personal improvement. Related work consists of physiology, bacteriology, the chemistry of cosmetics and shop management. Upon completion of the course students are eligible to take the State Board of Cosmetology examination for a beautician’s license. 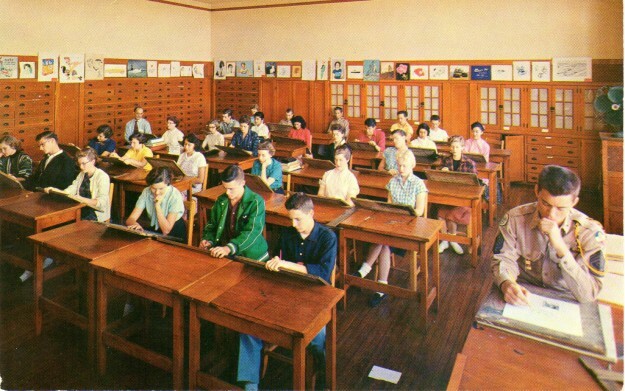 The Distributive Education classroom provides a modern retailing atmosphere. 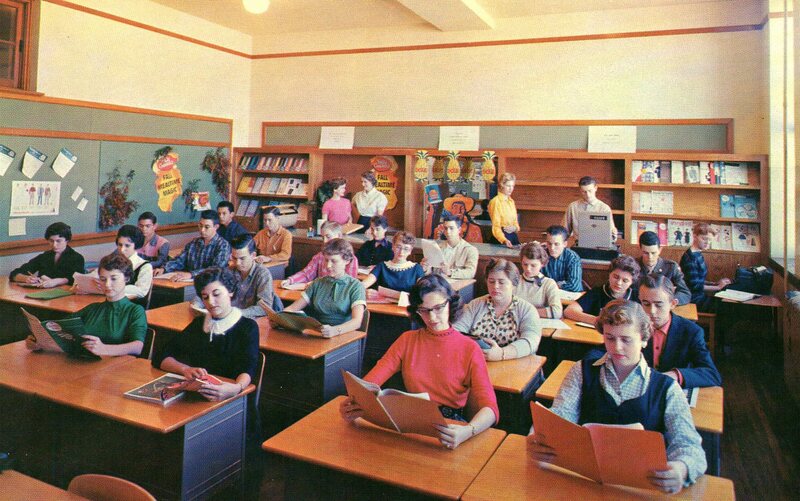 Here, students study merchandising, salesmanship, advertising, display and business organization. In the afternoons, these students are employed in businesses where they receive regular wages and are under school and store coordinated supervision, preparing today for greater business career opportunities tomorrow. The Machine Shop has all the standard machines usually found in general machine shops. These modern machines play an important part in teaching young men the basic fundamentals of machine shop work. Also, in conjunction with machine shop practice, welding, heat treating, related mathematics, science and blueprint reading are taught. 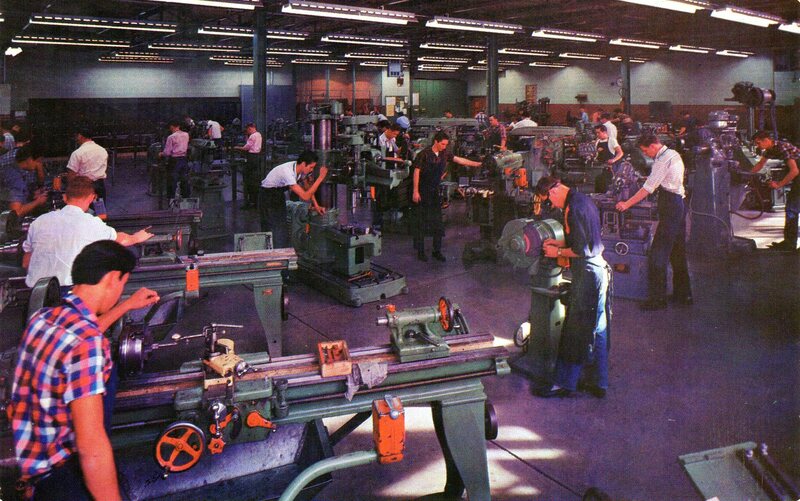 This shop has an area of 6,000 square feet and seventy work stations. The Aeronautics Department is the only one in the Southwest which is approved and licensed by the Civil Aeronautics Authority, with License #3494. After completion of the three year course, students are eligible to take the CAA examinations for an Airframe, Powerplant, or Combination Airframe-Powerplant License. The Shop has a total of 12,000 square feet. 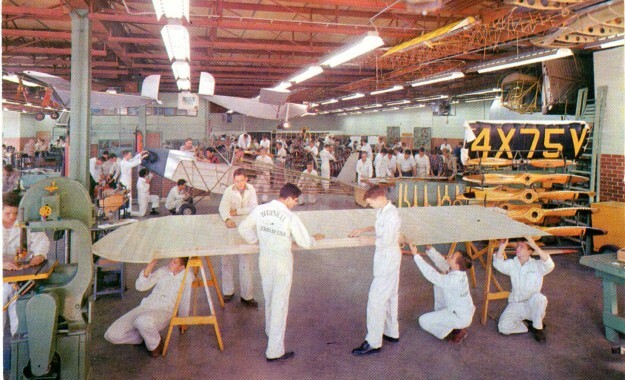 The Airframe section is shown in the picture. Mill and Cabinet Shop students receive experience in operating the circular saw, jointer, surfacer, band saw, jig saw, variety saw, shaper, dowel jig, mortise and tenon machine, belt sander, wood lathes and other motor driven equipment in the construction of all types of projects made of wood. 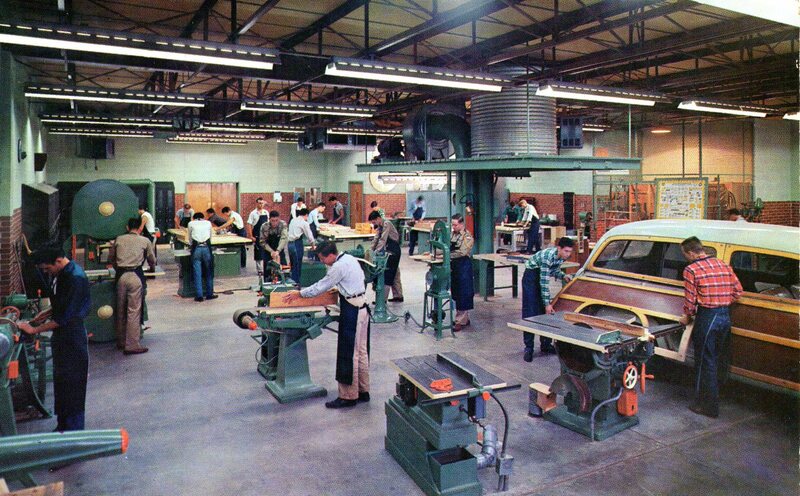 Use of hand tools, blue print reading, estimating and other information vital to successful participation in wood working industries are part of the course.